This is really gorgeous. I love the methodical approach to quilting, like the idea of sewing fabric together and then slicing it apart to create beautiful patterns. It’s always been something I long to try, but unfortunately beautiful fabric is expensive! 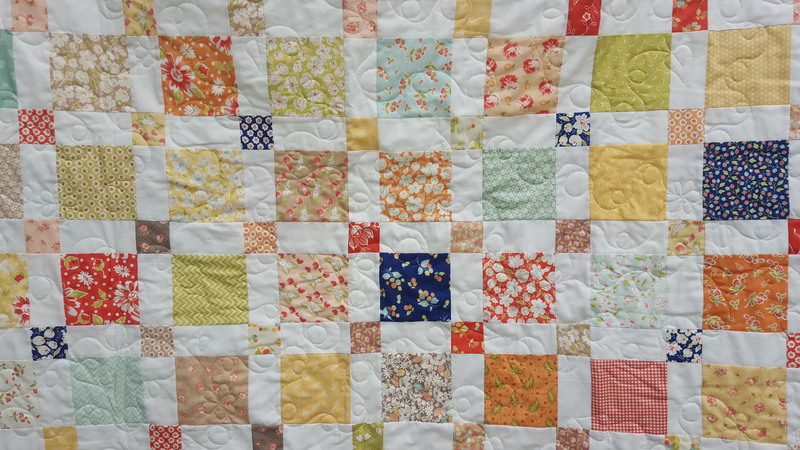 Another lovely quilt, Poppy. Quilting is a very expensive hobby! 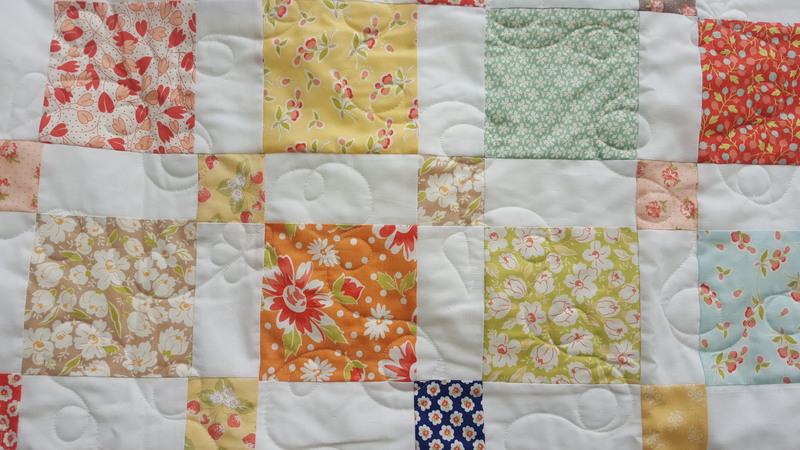 So different from sewing in that regard – I’ve sewn since I was 7, (but not with a machine until I was 19), and right until I started quilting sewing was a hobby which actually saved me money – dresses, cushions, gifts, tons of bags, I even sold some. But quilting is crazy. 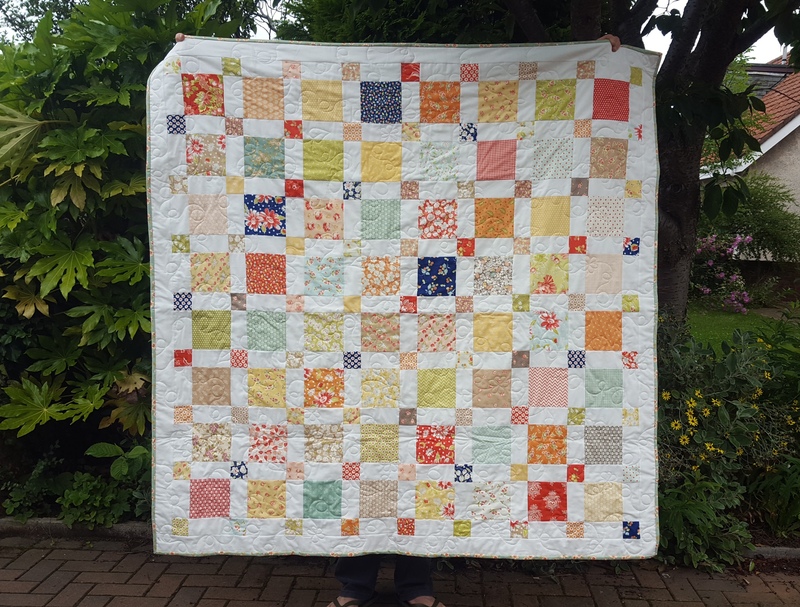 No-one needs as many quilts as I now have (7, and my son has two small ones and one he can sleep under – but I have saved fabrics for grown up quilts for him!)…. But it doesn’t stop me making them, for friends, family, charity, occasional customers. 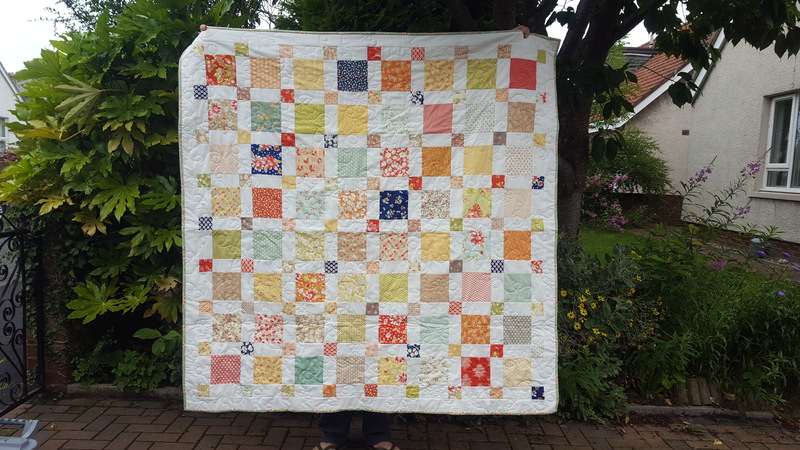 I do now sell, literally to fund the quilting; although the day job actually does cover the quilting, I just feel like it needs to pay for itself a bit because it’s such an extravagant hobby! 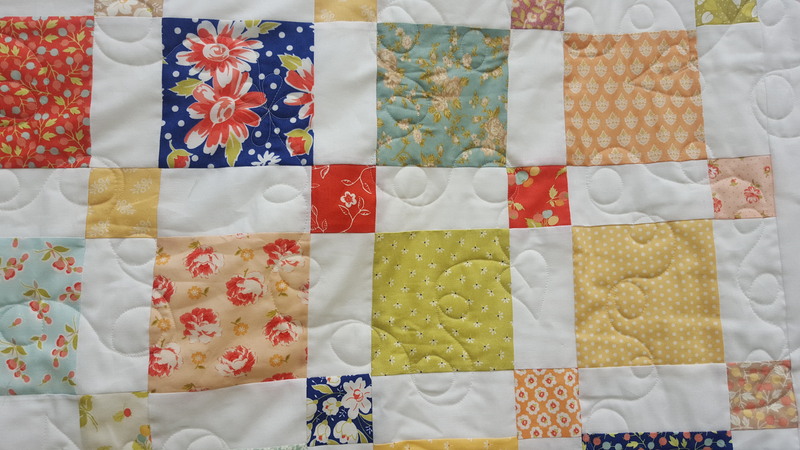 Quilting is not really something you get to try a lot of when you’re so young and without a job. One day you will – but I’m over 40 now! Let’s talk money. 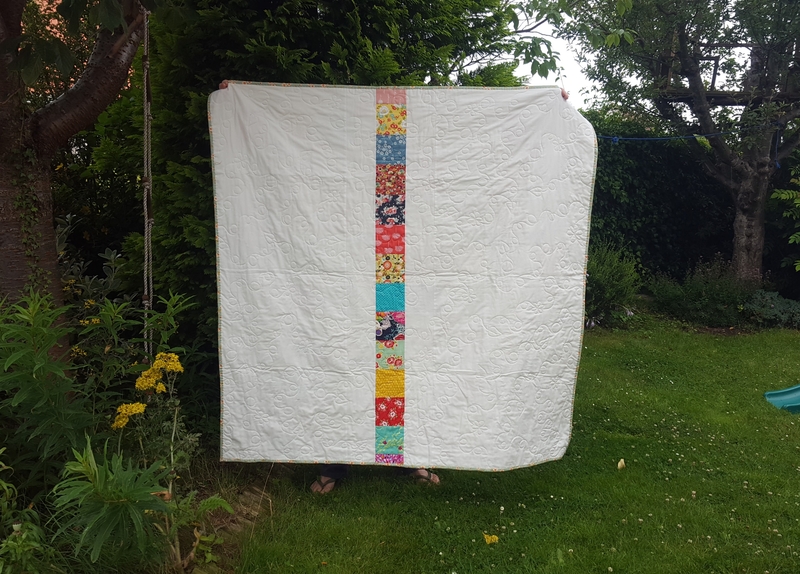 If you got a couple of charm packs for Christmas or something (£20) and teamed it with 2.5 – 3m Ikea’s Ditte white cotton fabric (£3 per metre, 60″ wide) for your neutral and backing, and got a throw sized (60″) piece of natural batting for about £15, you could make this quilt without the outside borders (the 52″ version) for about £50 …. That’s £20 for prints, £7.50 for background and backing, £15 for batting, £6 for binding fabric. (Add another £15-20 for the larger version). And that’s probably the cheapest you could do it, cheaper because of the bargain Ikea white, and cutting very economically. Plus P&P. But whilst that’s a lot of money, 10-15 hours of work and patience would turn it into an heirloom…. One day! But you have plenty of time. Meanwhile your own work is beautiful – and practical! 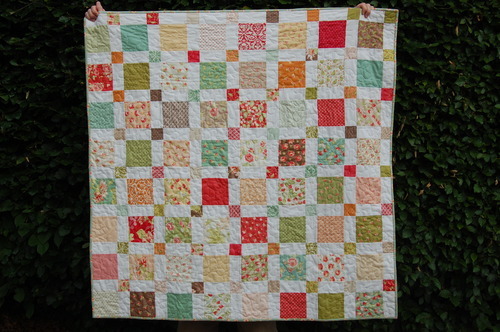 Your handmade wardrobe is wonderful and it’s nice for me as a quilter to see clothes being made so beautifully. Very inspiring!